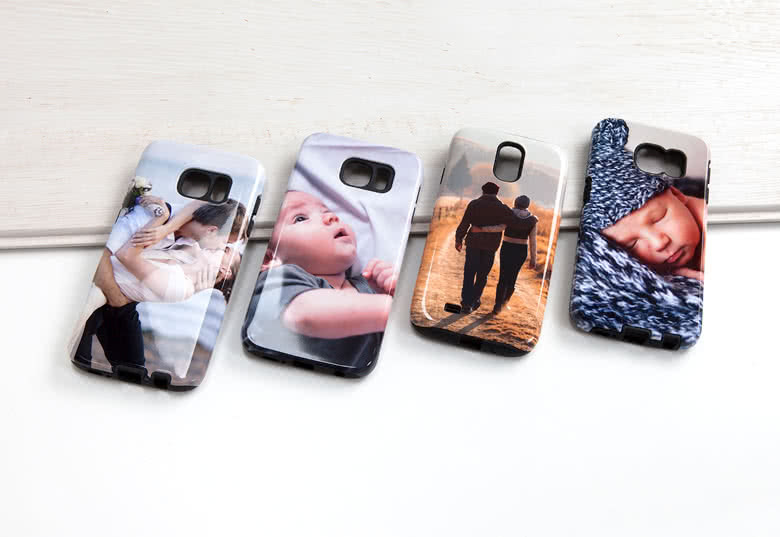 Create a personalised Samsung Protective Bumper Case at smartphoto. Are you concerned your clumsiness will affect the hardware of your smartphone? 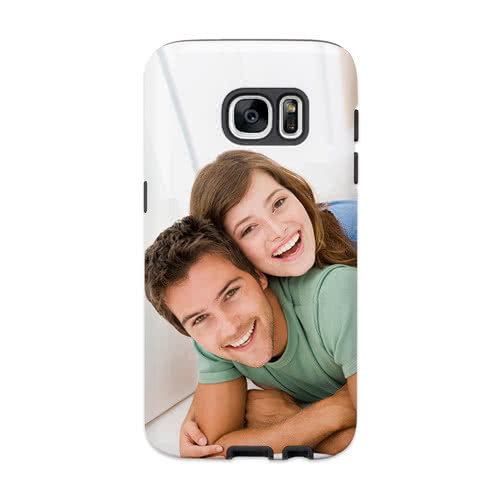 With this personalised Samsung Galaxy Protective Case you don't need to worry anymore! 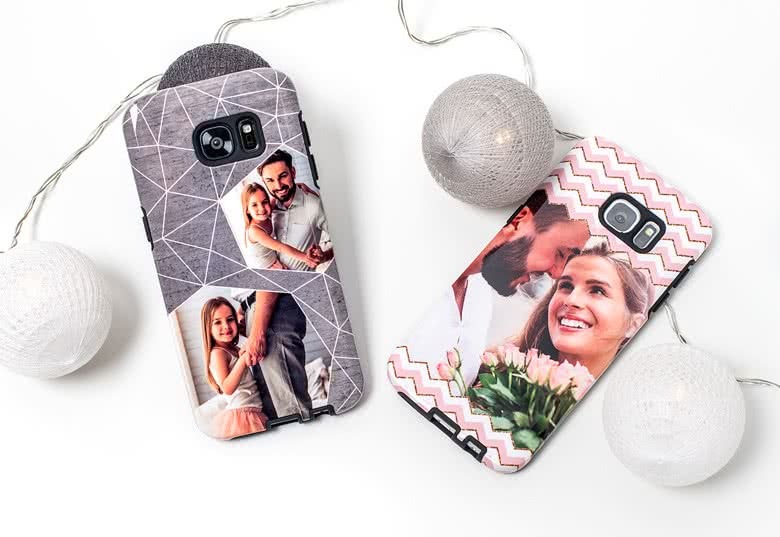 The hard-shell case with black rubber on the inside keeps your Samsung phone safe without having trouble pushing the buttons or using the camera. 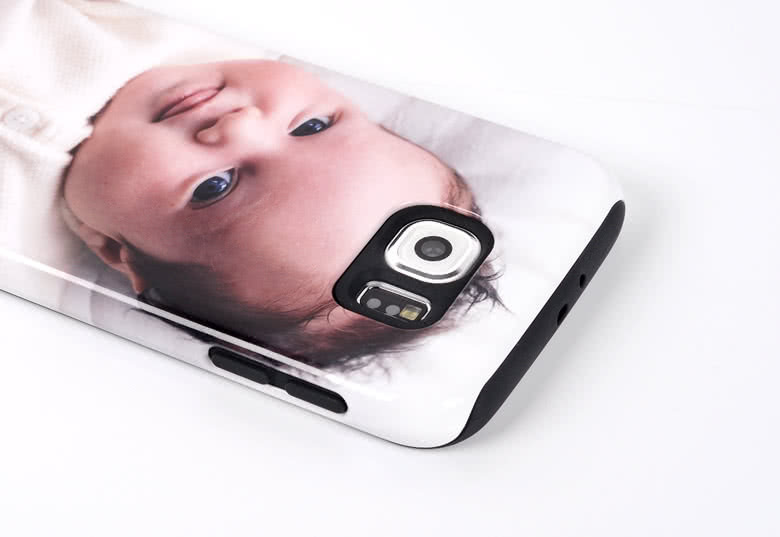 Personalise your sturdy cover with a photo of your kids or pet or simply add a photo of a marvelous landscape. 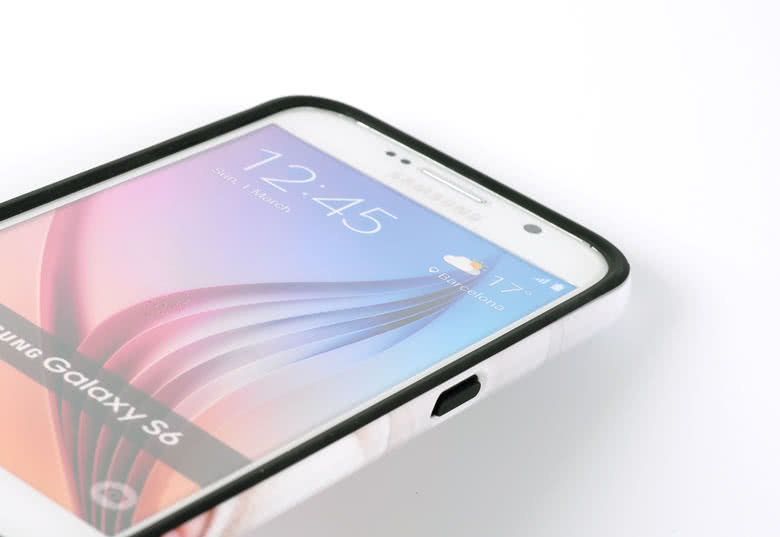 A personalised Samsung Protective Bumper Case - Bumper cover. You can make it personalised by adding your own pictures and texts on the cover. Choose one of your best pictures and dress and protect your iPhone and in the same way make it look funny, sweet or elegant.